From sold out concerts across North America… Get ready to rock with Marc Martel, the greatest Freddie Mercury voice on the planet. It’s one night only. 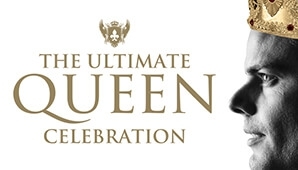 It’s The Ultimate Queen Celebration. Over 30 million views on youtube and facebook! “I get a little more artistic freedom in this show,”Martel said.